The origin of biological diversity, via the formation of new species, can be inextricably linked to adaptation to the ecological environment. Specifically, ecological processes are central to the formation of new species when barriers to gene flow (reproductive isolation) evolve between populations as a result of ecologically-based divergent natural selection. This process of 'ecological speciation' has seen a large body of particularly focused research in the last 10-15 years, and a review and synthesis of the theoretical and empirical literature is now timely. The book begins by clarifying what ecological speciation is, its alternatives, and the predictions that can be used to test for it. 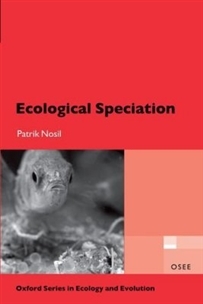 It then reviews the three components of ecological speciation and discusses the geography and genomic basis of the process. A final chapter highlights future research directions, describing the approaches and experiments which might be used to conduct that future work. The ecological and genetic literature is integrated throughout the text with the goal of shedding new insight into the speciation process, particularly when the empirical data is then further integrated with theory.